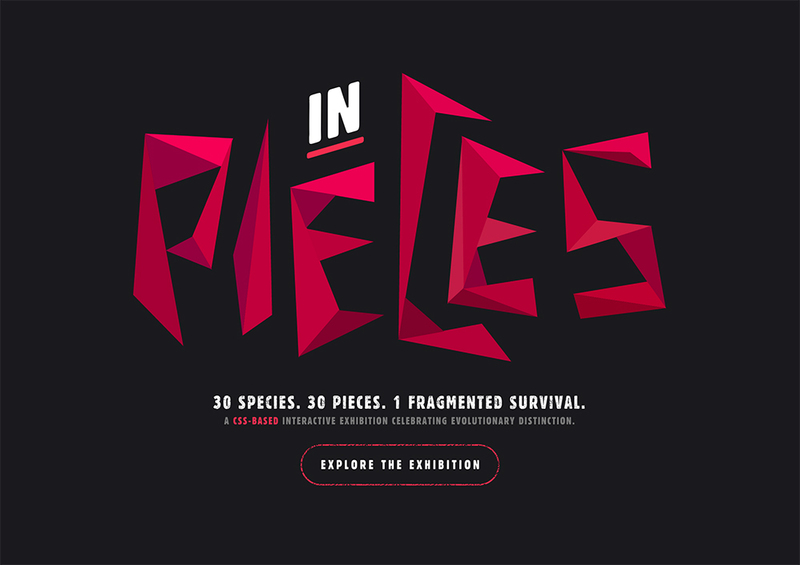 Presenting CSS-based interactive exhibition of 30 species of the world’s most interesting endangered species. Their survivals lay literally, in pieces. 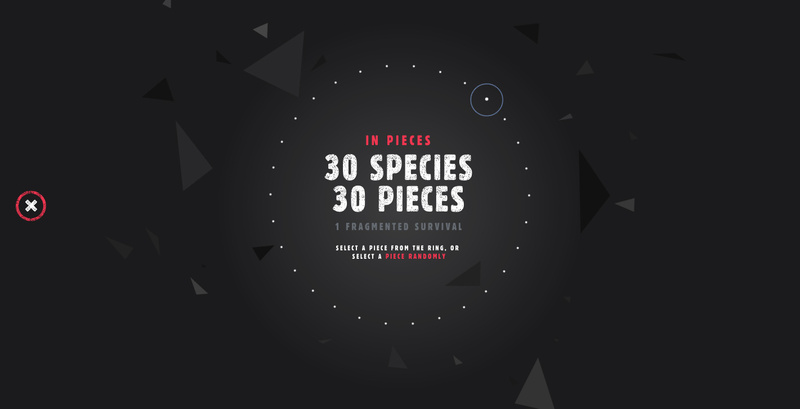 Each species has a common struggle and is represented by one of 30 pieces which come together to form one another. The collection is a celebration of diversity and an attempting reminder of the beauty we are on the verge of losing as every moment passes. These 30 animals have been chosen for their differences, so that we can learn about species we didn’t know about previously as well as the struggles they have surviving. Many of them evolved in a particular way which makes them evolutionarily distinct. This project is personal digital experiment by Bryan James. 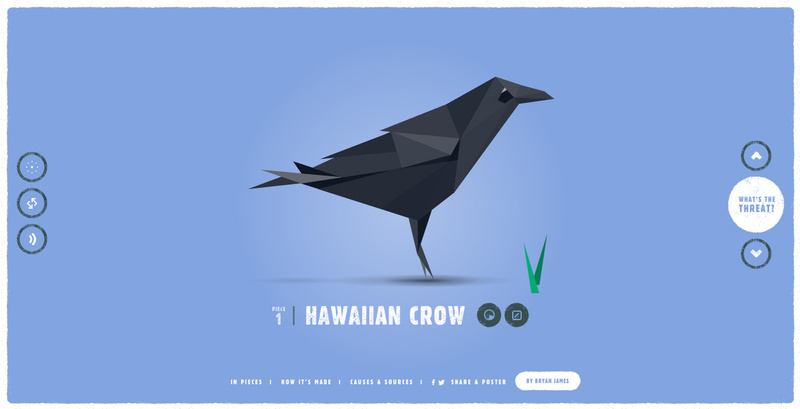 The core technology used is just CSS, no canvas or WebGL.